Thanks for the active participation in our discussion last Saturday. I had fun hearing your own thoughts on how public relations is perceived and defined by many, including your examples of brands (from local celebrities to global consumer products) that project a certain image but earned the opposite reputation. This goes to show that expensive advertising and promotions campaigns don’t necessarily work to the brand’s or organization’s advantage; in some cases, it can even highlight the disparity between the claimed image and the earned reputation. I hope this discussion has made many of you realize that while image is important, it’s really reputation that can help make or break the brand. And we don’t have to go through lengthy discussions on what a negative reputation can do or not do to the brand. Not all organizations today have a PR genius like Edward Bernays to help them influence public policy and legislation, but there’s lobbying to help them achieve the same objective. Good thing is, the UP Manila chapter of the Public Relations Student Society of the Philippines (PRSSP) is organizing a free seminar on lobbying, which I believe is a great opportunity for us to learn the practice from the professionals. 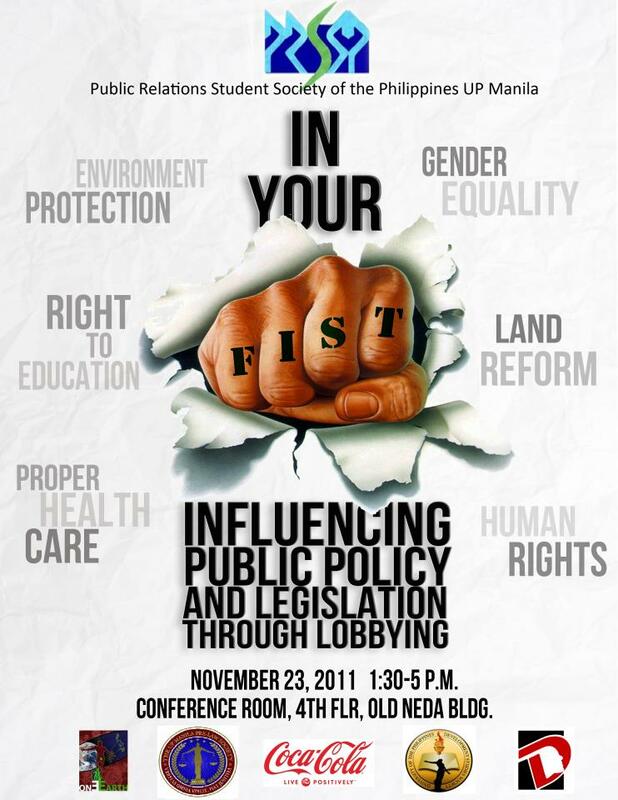 Please attend this seminar in lieu of our class this Saturday (attendance will be checked), and I’d like you to make a brief post in the comment section below about your biggest learning or realization on lobbying from the speakers. If you wish to expound more, you can write your comment in your own blog and post the link in the comment section below. Your answer forms part of your class participation for Orcom 105. To get you started on lobbying, check this site for some information. I know this is quite strange to meet for the first time through a blog. My schedule is quite messed up for now so I won’t be able to see you face-to-face in class tomorrow. But I also don’t want to waste our first meeting and not give you a preview of the kind of hell…I mean, class..that you enrolled yourself in. Haha! A 3×5 index card with these following details: full name, student number, year level and course, mobile number, and email address. Please also put your nickname on the top left of the index card and on the top right, please staple your recent 1×1 or 2×2 color pic. A sheet of paper listing your group of 7 members for the first requirement, detailed below. This is the first group requirement in class, which aims to expose you to the real world of Filipino PR professionals—how they work, where they work, what drives them. The interviewee may come from any organization or agency and must have at least two years of work experience as a PR professional. Here is a guide scope for the interview. Feel free to expand as you deem necessary. The idea is for you to get a clear, concrete picture of the life and career of a Pinoy PR Pro. 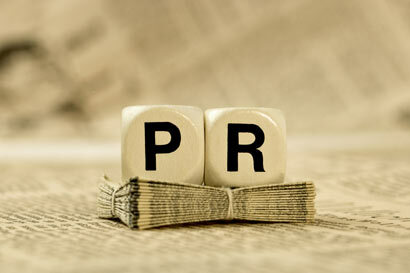 The first thing that comes to mind when I hear ‘PR’ is _____. PR to me is _____. In Orcom 105, I want to learn _____.